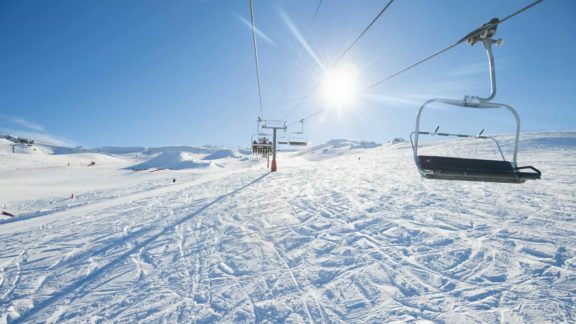 For those of us that may not have the energy for ski-ing, snowboarding or some other active activity (possibly after a big night out or sheer fear of the snow), here are some great ideas for what to do in Queenstown on a rainy day. There are plenty of indoor activities included if it’s just a bit too cold to be outdoors! If the rain doesn’t actually bother you too much, then some outdoor activities in Queenstown are just as much fun when it’s raining. You’re going to get wet no matter what the weather’s like so as long as it’s not freezing outside why not go surfing or sledging? These are adrenaline filled activities, enjoying white water rapids, whirl pools and rock jumps. Both activities are ridiculously good fun! And don’t worry they provide you with a wetsuit and booties to help keep some of the cold out! Nomad Safaris can provide your quad biking fix in Queenstown and like rugby, it is actually so much better in the rain! Apart from making one hell of a mess doing burnouts in the mud, getting massive airtime and using the bike to splash mud into your mates, quad biking is a great way to see the beautiful outdoors of Central Otago. 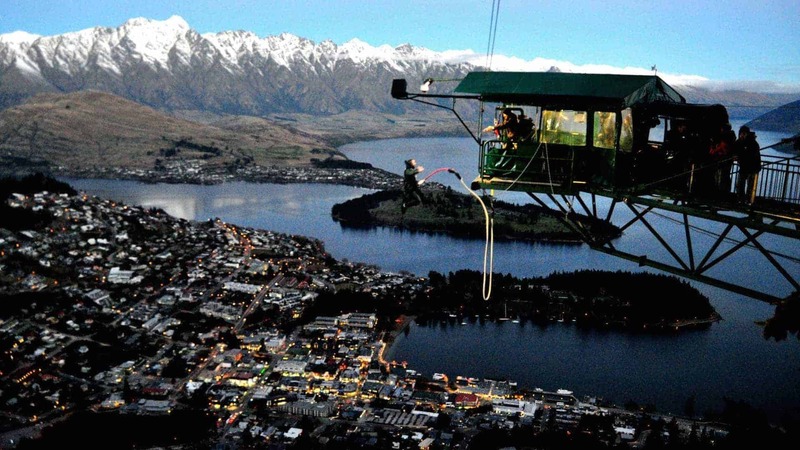 This is one of my favourite activities in Queenstown. Set over 15,000 acres of land there is never a dull moment for anyone! 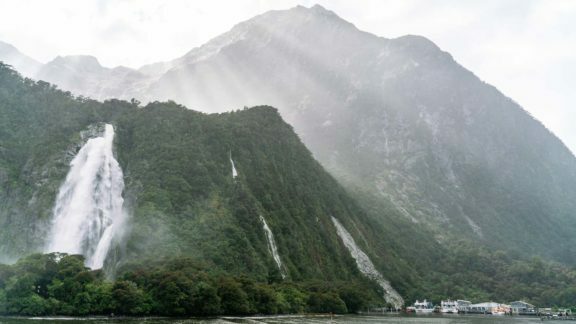 If you’re brave enough to do a bungy jump then a little bit of rain shouldn’t put you off from doing this fantastic and iconic Queenstown activity! You might be fed up of getting wet now so let’s move indoors. Queenstown has loads of indoor activities from relaxing ones to full on pee your pants exciting ones. Waiting out the rain while stuffing yourself with buttery popcorn, sweet snacks, and watching a new movie is never a bad choice. To catch a movie in Queenstown, head to Reading Cinema located on Mall Street. They have multiple films a day and have the Titan XE Theater which has amazing sound and a gigantic screen. Did someone say private jacuzzi? Yes we did! If you’re feeling a little lazy or nursing a typical Queenstown hangover, then head to the Onsen Pools. The pools sit within a private timber retreat coupled with your very own bathroom and changing room. As they can accommodate groups of up to 4 people, you can bring your mates! The views of the surrounding mountains are absolutely breathtaking and the water is usually set at around the 39.8 degree mark during winter. Not only do you get the spa to yourself (or 3 other friends if you wish) but with a push of a button the walls actually open up to the Shotover River. In the daytime you can watch the jetboat hurl others around performing 360 spins, or in the evening enjoy the quiet serenity of listening to the wildlife and water crash against the riverbank. No visit to Queenstown is complete without a visit to Minus 5 Ice Bar or Below Zero. Upon arrival you are provided with “snow shoes” and an “Eskimo jacket” before entering the icey icey bar. You are then guided into the Ice Bar enclosure and offered a delicious cocktail. The ice carvings in the bar make for some pretty funny Instagram selfies and the entire experience is beyond unique. 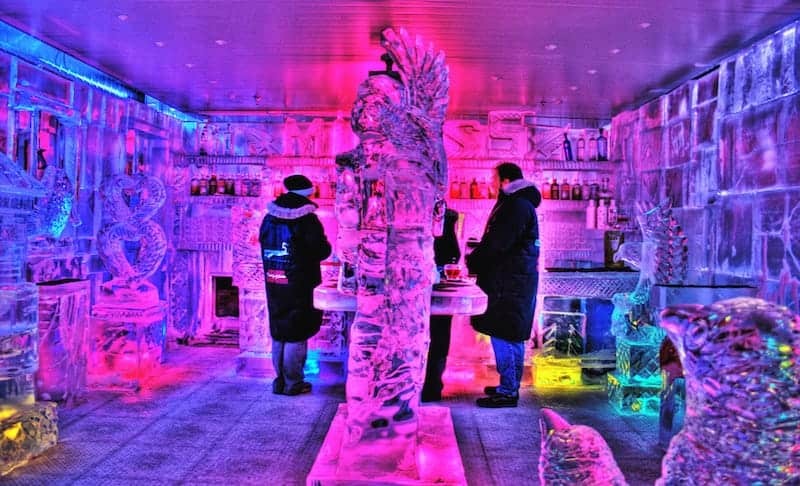 The bars, furniture and sculptures are all built out of ice and you guessed it… the temperature is cold! We can hear you adding it your bucket list. If you’re looking for a little indoor fun then head to Thrill Zone. This is an indoor gaming center that has a lot of fun activities for you and your friends to do. They have 12D Motion experiences – the best Virtual Reality experience in Queenstown. Another thing to do at Thrill Zone is test your skills on the massive battlegrounds. This is where you can compete with your friends in games like laser tag, hero blast, or redball. Redball is a new type of game that is similar to paint ball but without the paint. Who doesn’t love go-karting? At Game Over Queenstown you can play lazer tag, play video games in the arcade or best of all go-karting! You’ll need a car to get to Game Over as it’s located in Frankton, just remember to drive back to Queenstown safely after driving like a grand prix driver! Caddyshack in Queenstown has an amazing indoor mini golf course that is perfect when the weather isn’t. This mini golf course is not the easiest on the planet but it’s fun and offers some unique holes like a hole in a spaceship and on a gondola. Cost per game is around $15. Of course Queenstown has its very own Haunted House! Fear Factory is NOT, we repeat, NOT for the faint hearted! The entire interactive experience will have you screaming – we can’t give away too much information on this one! Before entering we were asked to sign a confidentiality agreement. This is an absolute must do – even if just for the hilarious photo of yourself at the end. Get out of the rain at the Queenstown Ice Arena. The rink offers a lot of fun for cheap and they have activities suitable for all skill levels. The rink has public skating hours daily, and if you are lucky you might even catch a hockey game. Queenstown Ice Skating Rink is a fantastic way to spend a few hours ducking the wet weather. Escape Quests are extremely popular and this one in Queenstown has 5 different rooms with Gold Rush themes. You’ll need between 2 and 5 people to participate and help to solve the puzzles and find the clues so you can escape the room within 60 minutes. Site Trampoline is in simple terms – a playground for adults. The indoor centre has 5 GIGANTIC trampolines, a wake rope and a foam pit – a great idea if you’re looking at amping up your snowboarding and skiing tricks… or keen to just have a little bounce around. It will cost you around $25 for a 1.5 hour session and the centre is open until 9:30pm. Pre night out bounce anyone? Another activity you’ll need a car to get to as the museum is located in Arrowtown, about a 20 minute drive from Queenstown. This is a great museum which shows early Maori life and the days of the gold rush. There’s also an art gallery and a bookshop to explore. 15. Go on a Pub Crawl! 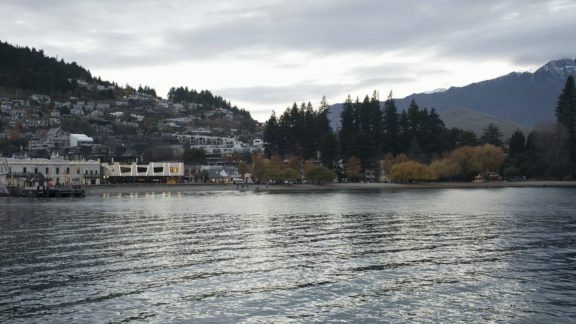 Queenstown is the party capital of New Zealand – trust me, we speak from experience! There’s a bar crawl on most nights of the week in Queenstown and it’s a great way to meet other people. If you’re bored during the day then why not do your own bar crawl round town to escape from the rain! Hey. I really liked this article. 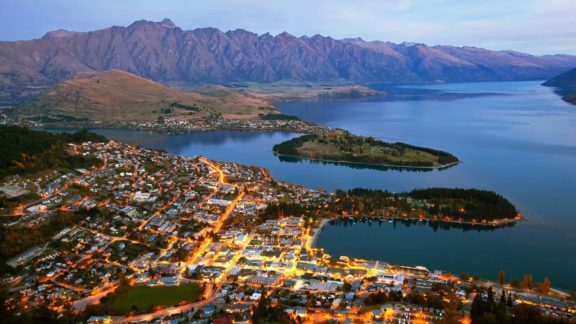 I often go to Queenstown because my grandmother lives there. I visited all the places on your list. I was most impressed by the jump to try it all. If someone has weak nerves or he is afraid of heights, then it is better not to do this. But if you are looking for new and bitter feelings, then you definitely need to try. I also want to mention Below Zero, this is the best bar I have ever seen. Here is a very cozy atmosphere and original interior. Did you know that, a quote from Wikipedia: “The first Queenstown Post Office opened around 1865 and closed around 1869. An Alberton West office was renamed Queenstown East in 1948, then Queenstown in 1966 before closing in 1976. The District Council of Queenstown and Alberton was established in 1864, bringing dedicated local government to the residents of the two townships either side of the new Port Road. In 1898 this council was absorbed by the Corporate Town of Port Adelaide”, source -https://en.wikipedia.org/wiki/Queenstown,_South_Australia. Good luck!